V INTERNATIONAL NEW TECHNIQUES, CONCEPTS AND DEVELOPMENTS IN WATERCOLOR BIENNIAL 2019. CAUDETE (SPAIN). 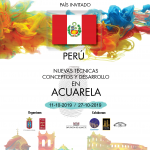 The V International New Techniques, Concepts and Developments in Watercolor Biennial 2019, Caudete 2019 is an event in which the work of 60 watercolorists from different parts of the world will meet. As in previous editions, it aims to promete contemporary watercolor and research in this médium, the use of new mixed techniquesor innovative treatments. It advocates diversified development of watercolor; encourages up-to-date trial, wxploration and innovation of watercolor. And fourth sheet 38×28 centimeters. The selection procedure shall consist on the following phases. FIRST PHASE. Selection, from May 2nd to June 30th, 2019. To participate in the pre-selection, all applicants will make a single registration of 35 euros. This paymaent corresponds to the rights of the first phase. In addition, all enrollees will receive a copy of the catalog that will be edited with the selected works. It will not be reimbursed and not be implied with more rights. Indicating the name of the participating artist. In case of arrange payment by bank transfer, ir will be necessary to send an email to bienalinternacional@caudete.org enclosing the proof of payment together with the name of the artista. SECOND STAGE. Selection from 3 to 15 July, 2019. Once the works are received, a first selection will be made between 3rd and 15th July, 2019 and a list will be published with the 60 works chosen, corresponding to the capacity of the room. The work will be sent in tuve without framing and without passe-partout (if the conditions of the work allow it). The wrapping must be of a quiality that allows its use in the return. The costs of shipping and return will be carried by each participant. The organization is not responsable for the posible stop and control in aduana. Once the works have been received, it will be verified that their quiality corresponds to the selected photo. In case the work does not correspond faithfully to the photo sent or there is an excessive treatment of the photograph, the work will be discarded in the second phase. This will offer the possibility that new works not selected in the first instance can be called to this second phase. 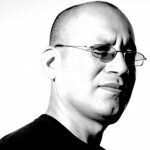 In case the work is of similar quality to the one appreciated by digital means, the work will be definitively selected in second phase and it will be communicated to the author. The framing of the works shall be borne by the organization without any additional charge. It will be done with the most posibble care, which implies that in no case will be atended to claims for posibble damages. With the selected works an wxhibition will be held in the exhibition hall of the House of Culture Caudete from October 11st to October 27th, 2019. And then it will be exhibited in the Exhibition Hall of the Auditorium and Cultural Center Mediterraneo of La Nucia (Alicante). A catalog will also be publisehed to collect the participating works. A copy of it will be sent to each participant in the biennial, including those not selected. The possibility of roaming is still open. Such assignment of work also includes the rights of reproduction, exhibition, dissemination and public communication in its broadest sense, and by any means, mentioning the author’s name and the title of the work. 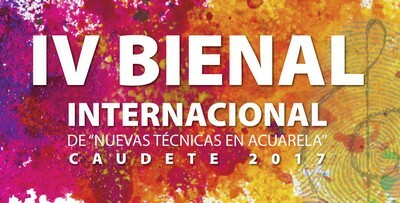 A qualified jury will elect the winner of the V International Biennial of New Techniques in Watercolor Caudete 2019, which will receive the honoray prize of the Gold Medal of the Biennial. A Silver Medal and a Bronze Medal are also established for the second and third places. Attendance to the awards ceremony by the award-winners artists is compulsory, otherwise the organization may declare the prize invalided. All other participants will have a Certificate for the selection and participation at the Biennial. The organization will take of the expenses (diets, travel, etc.) within the national territory of the three award-winners artists. Unless otherwise is stated, once the exhibition will finish, all the works will be returned to their authors, even those awarded. Any author who wishes to put on the market his work should indicate it on the registration form and also should contact the Art Worlshop. The room has adequate security measures, the personnel handling the works are well prepared, and the means of delivery are of recognized solvency, reason why the organization declines responsability for loss, subtraction or deterioration of any of the works; not subscribing insurance policy to the effect that covers any risk. The organization reserves the right to modify any of the above points in case of force majeure will be necessary.